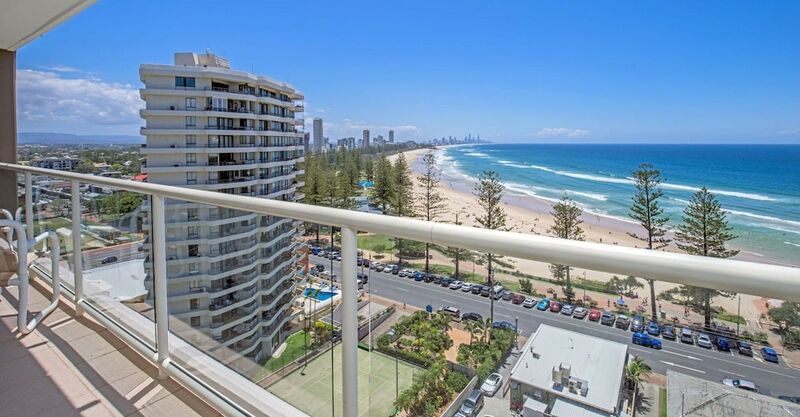 When you stay at Burleigh Beach Tower in Burleigh Heads, you'll be by the ocean, a 3-minute drive from Burleigh Beach and 9 minutes from Currumbin Wildlife Sanctuary. This apartment is 5 mi (8.1 km) from Pacific Fair Shopping Centre and 5.3 mi (8.5 km) from Gold Coast Convention and Exhibition Centre. Make yourself at home in one of the 40 individually decorated guestrooms, featuring kitchens with refrigerators and ovens. Rooms have private furnished balconies. Flat-screen televisions with cable programming provide entertainment, while complimentary wireless Internet access keeps you connected. Private bathrooms have deep soaking bathtubs and complimentary toiletries. Be sure to enjoy recreational amenities, including an outdoor pool, an outdoor tennis court, and a fitness center.